Tony Blair should stand trial for war crimes if the Chilcot Inquiry rules the former prime minister broke international law by invading Iraq in 2003, Labour leadership candidate Jeremy Corbyn has said. He added the former Labour prime minister, who orchestrated the invasion with then-US President George W. Bush, should “confess” to any plans he made with the former president. 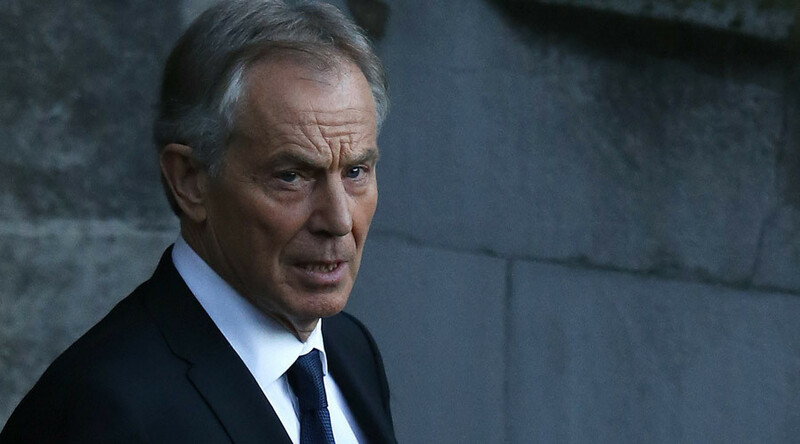 The publication of the Chilcot inquiry would force Blair’s hand, he said. Corbyn, who staunchly opposed the invasion and is a leading member of the Stop the War coalition said, “It was an illegal war. I am confident about that. Indeed Kofi Annan [UN secretary general at the time of the war] confirmed it was an illegal war and therefore [Tony Blair] has to explain to that. Is he going to be tried for it? I don’t know. Could he be tried for it? Possibly. “The Chilcot report is going to come out sometime,” he said. “Why has the Chilcot report still not come out? Because apparently there is still debate about the release of information on one side or the other of the Atlantic. At that point Tony Blair and the others that have made the decisions are then going to have to deal with the consequences of it,” he added. Corbyn further asserted his opposition to British airstrikes against Islamic State (IS, formerly ISIS/ISIL) militants in Syria and Iraq. His comments come as Prime Minister David Cameron calls on Sir John Chilcot to name the date his report will be published. The inquiry began in 2009 and concluded its evidence gathering phase in 2011. Its long delay has led to fears of an establishment whitewash. Cameron is expected to tell the chairman he wants to see “a timetable” of publication, and that he is keen to see the results as soon as possible. “I cannot make it go faster because it’s a public inquiry and it’s independent, but I do want a timetable and I think we deserve one pretty soon,” Cameron will tell Chilcot.